Starting from your hotel in Ljubljana we will reach Bled in about 45 min. Driving around the lake with a stop for a photo. Visiting the castle with a museum and a view point. 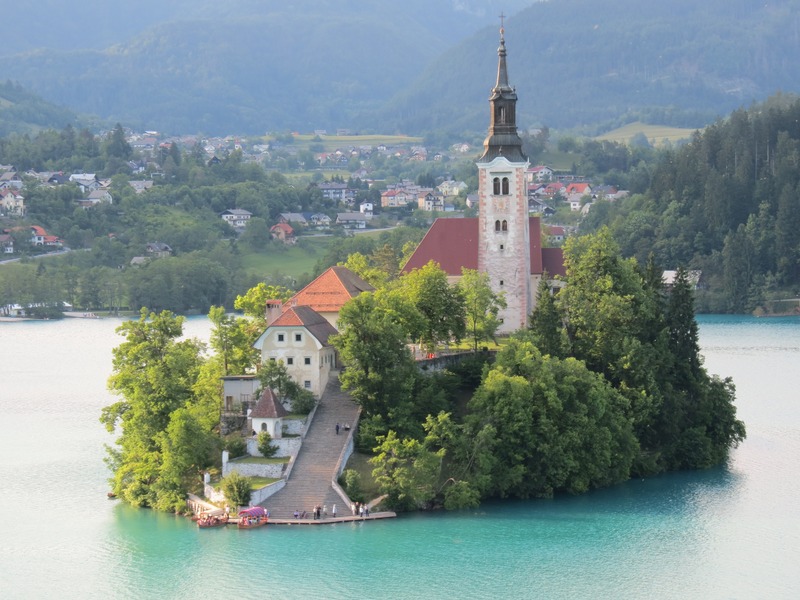 Time for the Bled cake or a coffee at the lake. Transfer to the island with a boat or optional a walk into the Bled Vintgar gorge ( 1. 5 hour retour). We can be back to your hotel in 5 hours. A visit of a more quiet Bohinj lake only 25 km away is recommended. Half-day trip, 119 Eur/4 person. Entry tickets /boat fare not included.